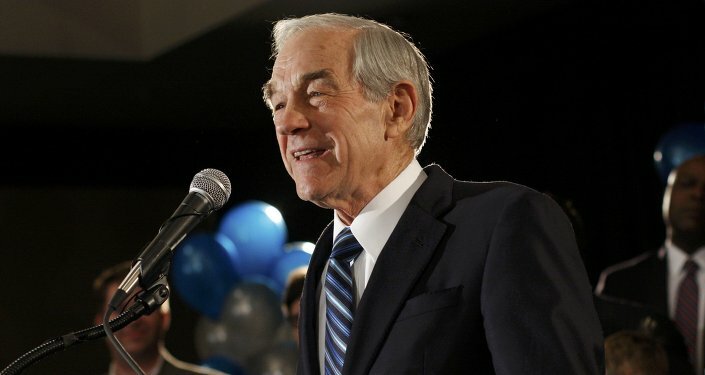 Ron Paul on Greece Crisis: Is America Next? Now that Eurozone leaders have agreed to provide Greece with a new bailout, the economic crisis has seemingly been averted. But as former US presidential candidate Ron Paul points out, this resolution is only a temporary fix, another "crisis is inevitable," and it could mirror the United States’ own demise. "As this column is being written, a deal may have been reached providing Greece with yet another bailout if the Greek government adopts new 'austerity' measures," Ron Paul wrote for the Ron Paul Institute on Sunday. A tentative deal has indeed come to pass, and is already being criticized for its harsh conditions. Fifty billion euros worth of public assets are being removed from Greek government control, for instance. But nevertheless, averting a crisis "will allow all sides to brag about how they came together to save the Greek economy and the European Monetary Fund," Paul writes. But the deal still avoids one of the core causes of the crisis: military spending. "Even as its economy collapses and the government makes (minor) cuts in welfare spending, Greece’s military budget remains among the largest in the European Union." This, of course, sounds eerily familiar to the problems facing another major military spender. "…The United States military budget remains larger than the combined budgets of the world’s next 15 highest spending militaries," Paul points out. Little, if any, of the military budget is spent defending the American people from foreign threats. "Instead, the American government wastes billions of dollars on an imperial foreign policy that makes Americans less safe," he adds. "America will never get its fiscal house in order until we change our foreign policy and stop wasting trillions on unnecessary and unconstitutional wars." Of course, military spending was not the sole cause of the Greece crisis, nor will it be the only factor in the impending American downfall. The ballooning welfare state is also to blame. "Like Greece, America suffers from excessive welfare and entitlement spending. Reducing military spending and corporate welfare will allow the government to transition away from the welfare state without hurting those dependent on government programs." For now, the United States can rest easy on the fact that the dollar is the world’s reserve currency. But as the US Federal Reserve continues to artificially prop up that currency, other nations will gradually move away from the dollar. "China and Russia are already moving away from using the dollar in international transactions," Paul writes. "It is only a matter of time before more countries challenge the dollar’s reserve currency status, and, when this happens, a Greece-style catastrophe may be unavoidable." Are American politicians ready for such an event? All evidence suggests they’re ill-prepared. "The only real debate between the two parties is over whether we should spend more on welfare or warfare," Paul notes. "Too many Americans believe they have a moral right to government support. This entitlement mentally is just as common, if not more so, among corporate welfare queens of the militarily-industrial complex, the big banks, and the crony capitalists as it is among lower-income Americans." How can the United States avoid an economic crisis reminiscent of Greece? "Congress will only reverse course when a critical mass of people reject the entitlement mentality and understand that the government is incapable of running the world, running our lives, and running the economy." "Therefore, those of us who know the truth must spread the ideas of, and grow the movement for, limited government, free markets, sound money, and peace."